Low light loss, low airflow reduction. Strong, flexible and resists peg tear and fraying. 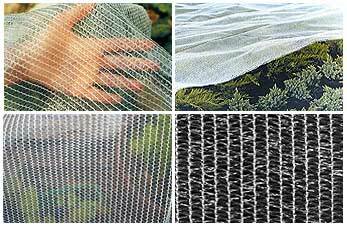 A strong, lightweight (35gsm) net, knitted from natural polyethylene tape. 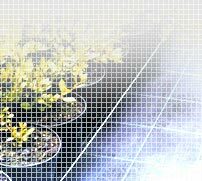 Its mesh structure creates a micro-climate, offering limited thermal protection to plants combined with good light transmission. It discourages birds and the larger winged insects. It can be used over the above fleeces to provide extra thermal protection and reduce wind damage to the fleece.